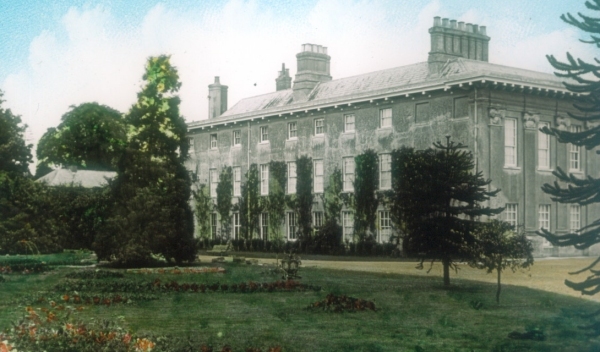 Lees Court in the village of Sheldwich was the home of the Sondes family. Lees Court was built in 1654 for Sir George Sondes, who was in prison at the time. Shortly afterwards it was the scene of a notorious crime, when one of his two sons murdered the other there. Because of its advanced Classical style it has been ascribed to Inigo Jones, though this attribution is uncertain. It was gutted by fire early in the 20th century but was rebuilt. It is listed Grade I. It ceased to be the home of the Earls Sondes about 25 years ago and, with its handsome stable block (by Soane) was converted into flats. The house, at the end of a long drive and park are private. The Earl Sondes title is now extinct but there is still a Countess Sondes, who is a New Yorker. Some of the estate records are in the Centre for Kentish Studies in Maidstone. Others are in the Northamptonshire County Record Office. On a farm near Lees Court, Lady Sondes has started growing non-food crops for use in natural cosmetics etc. They have introduced farm diversification by using chemical-free methods to extract oil for bath and body products.